We are constantly reminded of the importance of using healthy products on our skin! With new products on the market, there is no reason to use moisturizers with harsh chemicals that are stressors to the skin and body. Lavanila and Christie Brinkley Authentic Skincare have solutions guaranteed to keep your skin hydrated from head-to-toe in the healthiest way. For an all over hydration, Lavanila Laboratories The Healthy Body Butter Collection absorbs instantly for deeply hydrated, super soft skin. Powerful antioxidants, essential oils, and 100 percent pure shea and cocoa butters are blended together for long-lasting nourishment. The non-greasy formula delivers an indulgent, delicately scented experience. Available in Vanilla Grapefruit, Vanilla Lavender, Pure Vanilla, Fragrance Free, Vanilla Coconut, Vanilla Summer and Fresh Vanilla Lemon ($19; Lavanila.com). I love to slather on my Healthy Body Butter after my shower. It not only smells amazing, it leaves my skin beautifully hydrated and silky soft. No chemicals involved! 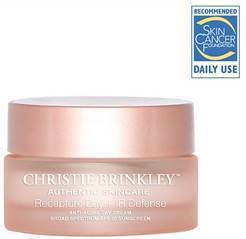 Keep your face moisturized and protected with Christie Brinkley Authentic Skincare Recapture Day + IR Defense Anti Aging Day Cream SPF 30. This multi-level anti-aging cream is formulated with a bio-copper complex that helps correct the most visible signs of aging. It uses three effective technologies to revive, improve and protect your skin while recapturing a youthful appearance ($69; Kohls.com). This day cream is heavenly. It has a light, yet rich texture that absorbs perfectly into the skin without any greasiness. You can wear it under your makeup and you will not need an extra sunscreen.